Queensland Ballet will soon bring one of William Shakespeare’s best-loved tales to the stage when A Midsummer Night’s Dream comes to QPAC’s Playhouse on April 1-16. Liam Scarlett. Photo by Andrej Uspenski. 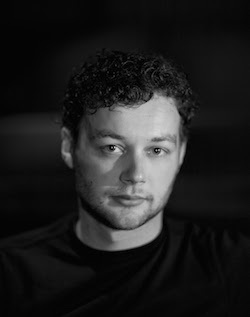 Brought to life by one of the most sought-after choreographers working today, Liam Scarlett, Midsummers is replete with enchanted forests, mischievous forest sprites, elves and fairies, an other-worldly changeling boy, quirky explorers hunting fairies and rustic lost-boy types. 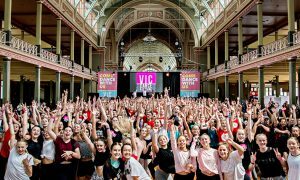 Queensland Ballet Artistic Director Li Cunxin said audiences would be transported by the incredibly musical choreography, fantastical sets and gorgeous costumes, delightfully cheeky characters and of course, spectacular dancing. 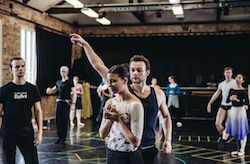 Scarlett in rehearsal with Queensland Ballet Principal Yanela Piñera. Photo by Eduardo Vieira. Scarlett was appointed The Royal Ballet’s first Artist in Residence in 2012. He has created ballets for The Royal Ballet and commissions for New York City Ballet, San Francisco Ballet and English National Ballet. 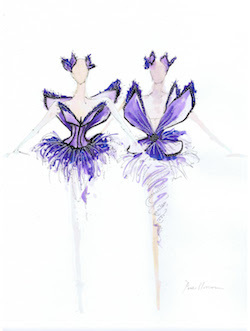 He has brought together wonderful creatives on this project with costumes designed by the talented Tracy Grant Lord, lighting design by Kendall Smith and of course, Felix Mendelssohn’s stunning musical score that works perfectly as a backdrop to the ballet. Principal Dancer Clare Morehen for ‘A Midsummer Night’s Dream.’ Photo by Simon Lekias. Hair by Richard Kavanagh. The story, familiar to many, is Shakespeare’s most popular comedy and was written around the late 1500s. It follows the adventures of four young lovers, their misadventures and interactions with the cheeky and mischievous woodland fairies and forest sprites. The story focuses on something everyone can relate to – falling in love. Cunxin said that even though that story was written so long ago, it still feels very relevant to our everyday lives. Costume sketches by Tracy Grant Lord. Liam Scarlett’s A Midsummer Night’s Dream opens at QPAC’s Playhouse on April 1. For more information and tickets, visit www.queenslandballet.com.au or call 136 246. Photo (top): Royal New Zealand Ballet dancers Tonia Looker and MacLean Hopper in Liam Scarlett’s production of A Midsummer Night’s Dream in Wellington in August 2015. Photo by Stephen A’Court.